We have used ccMiner 2.0 RC2 by tpruvot in benchmark mode with all of the default settings for intensity on all algorithms supported by the miner. 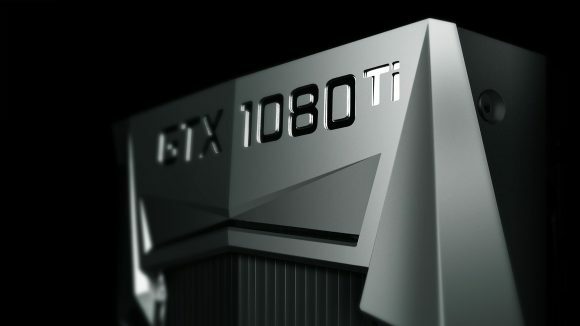 The GeForce GTX 1080 Ti GPU was running at the default 100% TDP or with other words a Power Limiter at 250W, though on the Founders Edition GPUs you can increase it by up to 20% all the way to 300W (mind the cooling though). The tests were performed on stock operating frequencies of the video card with the fan set at 100% in order to keep the GPU cool and prevent thermal throttling (dropping of the boost frequency) because of high temperature that might be reached with auto fans. As you can see in the table with performance results above we have posted the hashrate and the power usage for each algorithm tested (if the test has successfully passed). The power usage values are the ones reported by the video card itself only and are based on its TDP limit, not the actual values measured at the wall (these will be higher). The algorithms pushing the 250W TDP limit might be able to benefit from a power limit increase, though you might want to be careful with that in terms of being able to properly cool down the card. On the other hand forcing the TDP limited down might bring significant power reduction with a little sacrifice in terms of hashrate thus giving you better performance per Watt than the stock settings. With the BMW algorithm we got an error at the default intensity of 21, and we’ve had to decrease it down to 15 in order to make it work, resulting in very low hashrate. With Cryptonight we got an error at the default intensity of 10.75, but down to 10.25 it worked and you can see the result in the table. With the Jackpot algorithm we also got an error at the default intensity of 20, however lowering it did not seem to help at all and the same thing also applies to the Quark algorithm. With the Wildkeccak algorithm we had trouble making it work properly in benchmark mode due to the specifics of the algorithm needing a scratchpad file. Sirin Labs Finney Review: Does This Crypto Smartphone Stand a Chance Against the Samsung Galaxy S10? We are fans of Cryptocurrency and also Bitcoin World. This is experimental project. It is searching automatically cryptocurrency and bitcoin news. If you want add/delete source or post, please let us know. We will add/delete it. We'd like make a place, where you can find information about cryptocurrencies World from various sources with correct backlink back to source and authors. If you find any rule violation, please contact us. We will fix it. Thanks a lot.